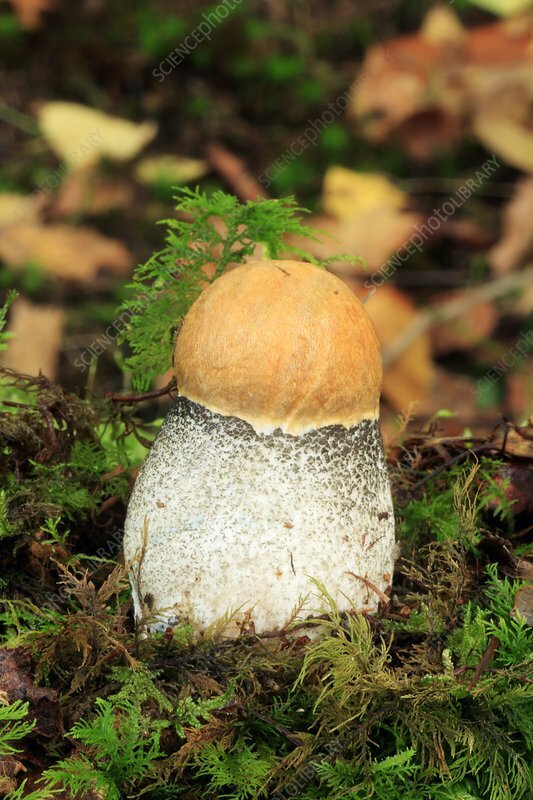 Orange birch bolete (Leccinum versipelle). This is an edible mushroom (if properly prepared) that is commonly found growing beneath birch trees. It turns black when cooked. Photographed in Wales, UK.